California’s report on autonomous vehicle tests doesn’t tell the full story. On Wednesday, California’s Department of Motor Vehicles released its annual report of self-driving car safety data, detailing how often autonomous vehicles created by companies like Uber, Tesla, Apple, and Waymo disengage their cars’ self-driving mode and give control back to a human safety driver to avoid a crash or help the vehicle when its software gets confused. The report shows a clear winner: on average, Waymo’s self-driving cars drove autonomously for an eyebrow-raising 11,154.3 miles before a human took over — more than twice as far as GM, the second place finisher. The number is impressive, but it but doesn’t match the experience of Waymo passengers in Arizona, interviewed by Futurism, Ars Technica, and The Verge, who report frequent interventions from human drivers. And four experts cautioned us that the new figures in California might not tell the whole story — nevermind that the continued presence of safety drivers shows the vehicles aren’t quite ready for prime time. 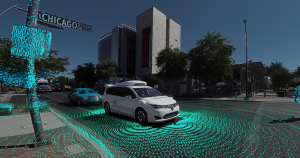 When Futurism contacted a Waymo spokesperson to ask about the incredibly low disengagement rate, the spokesperson sent a press release explaining the company’s progress in teaching its autonomous vehicles to handle unusual scenarios that might have previously tripped up a vehicle’s artificial intelligence. But these disengagement reports aren’t the rigorous analyses that they seem to be at first glance, according to Wired, as each autonomous vehicle company collects and reports their own data, which are then compiled and compared side by side, even though each company may test using different metrics and standards. A spokesperson from California’s DMV told Futurism that the government reviews each company’s data before publishing the annual report. When asked if the DMV had specifically verified Waymo’s claim of over 11,000 miles driven per disengagement, the spokesperson said that the DMV’s main focus has been making sure that each company filed a complete report. And experts cautioned that the companies may not have been totally transparent about their tests. At press time, the Waymo spokesperson hadn’t clarified the extent to which the government reviews disengagement data before publishing its annual report. Waymo’s reported test results could show that the company excels in areas where others continue to struggle. They could also be the result of running self-driving cars on empty, well-paved roads during the daylight. Editor’s Note 2/14: This article has been updated to include an additional statement from California’s Department of Motor Vehicles.